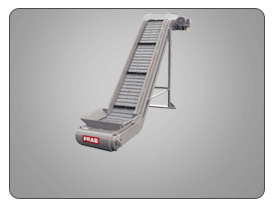 The PRAB ScrapVeyor™ features leak-proof construction that retains 100% of cutting fluids when moving scrap to its destination, and positive discharge provides a clean operation while eliminating carryover. 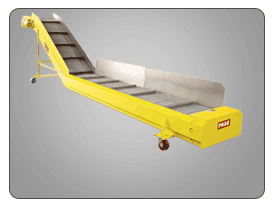 Combine this scrap conveyor with a distribution system to maximize operational load-out efficiency. 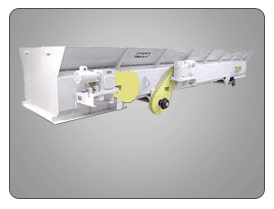 The PRAB ScrapVeyor reduces downtime by automating the scrap transfer process- maximizing machine operator production time with no carry over issues. Presses can run continually eliminating any stopping to change containers for cleaning out scrap. 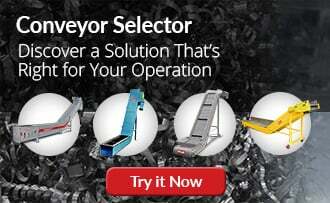 Load out options include: manual, powered or fully automated swivel chutes or a manual or automatic tipping chute. 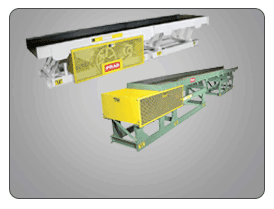 Load out systems can be used with single, dual and full size trailer or railcar applications. Trough designs are available in flat or V-style (symmetrical and off-set) formations to meet the needs of your stamping scrap handling systems application, with the following configuration options.